Who says Black Friday and Cyber Monday deals have to be all about buying new clothes or new gadgets? There are also plenty of black Friday deals and Cyber Monday specials if you are thinking about getting a VPN. Before we get into the best VPN deals for Black Friday and Cyber Monday, let’s look at why you need a VPN. There are so many reasons why so many people choose to use a VPN. But, in short, the main reasons are to give yourself freedom, security and privacy online. A VPN can give you access to so much more content online than you have currently available to you. For example, if you are living or travelling in one destination, you can still watch content from your home country. So, you might be holidaying in Spain, but choose to catch up with your favorite soaps from iPlayer in the UK, or vacationing in South Africa, but still watch your US Netflix shows. A VPN also keeps you safe and protects your privacy while online. All of your online traffic goes through your VPN provider’s servers rather than your own. This keeps your browsing habits private and can ensure your security while you are carrying out online activities such as online banking. Now that we’ve addressed why you might need a VPN, here is a round-up of all of the best VPN deals from the best VPN providers at the moment. These deals have been carefully chosen from the most respected and reliable VPN providers on the market. ExpressVPN regularly tops lists of the best VPN providers. And, it is now offering one of the best Black Friday deals for VPN. At the moment, you can get a heavy discount from ExpressVPN, which is offering 49% off the annual plan. Not only that, but there’s a 30-day money back guarantee, so it is the ideal time to give it a try, even if you aren’t 100% convinced that you need a VPN. Express VPN has a whopping 148 locations across the world, so you can connect to whichever server meets your content, viewing, listening or gaming needs. It also has very impressive security measures to ensure you are safe and secure online, as well as giving you blazing fast speeds and no restrictions on what you can stream or download. Another VPN provider offering very heavy discounts at the moment is CyberGhost, which is offering a huge 73% discount. This means that on the two-year plan, you will pay only $3.50 per month. There’s also a generous 45-day money-back guarantee if you want to try it to see if it works for you before committing. CyberGhost has been tried and tested by 20 million users. When you log onto CyberGhost it launches both the VPN and a browser session for you in one step making it very simple to use. It’s also a good option for you if you want a VPN provider which will enable you to customize your experience. You can choose the server that is right for you, and combine this with other features. NordVPN is one of the best VPNs available and now you can get it for an amazing price. The provider has a deal for just $2.99 per month if you take a three-year plan. That is a long commitment. However, there is a 30-day money-back guarantee so you can try it first without any risk. There are more than 5,100 NordVPN servers in 62 countries across the world so there are a wide variety of locations for you to choose to access content from. This provider also takes your safety and privacy very seriously, with military-grade encryption to protect you from hackers or cyber criminals. It’s also vital for you if you are accessing content which you don’t want the authorities to be able to track. For instance, you may be visiting a country where sexual, gambling, or even LGBT content is banned. This, and the other VPNs on this round-up of the best deals, will allow you to watch and access what you want to without anyone knowing. SaferVPN is a relative newcomer to the VPN market. However, it has already made its mark, and it is also definitely making its mark on Black Friday and Cyber Monday with a great deal. There is currently 70% off if you take out a two-year deal. That makes it just $3.29 per month. You can browse as if you are anywhere in the world with more than 700 high-speed servers across the globe. PrivateVPN’s most popular deal is offering 64% off when you take up a 12-month plan. This includes an extra month free, so you get 13 months for $3.88 per month. One of the most popular VPN providers on the market, this VPN works anywhere so you can unlock content which may otherwise be restricted because of geography or firewalls at work or collage. There’s also military-grade encryption which shields you from both authorities and hackers. Not only that but you don’t have to worry about buffering or long waiting times as there are super-fast speeds. Plus, like Express VPN, PrivateVPN offers a 30-day money-back guarantee so there’s no need to make a final decision to continue with your plan. You can try it first and then get a refund if you want to. Not only is right now one of the best times to choose a VPN provider because of the black Friday deals and the Cyber Monday sales, you may find that you want to choose a VPN so you can actually do your sales shopping as you want to. For example, you may be trying to purchase a pair of shoes, the latest gizmo or gadget, or a new piece of electronic equipment to send back to your home address in another country or as a present for friends and family. You may find that the store doesn’t give you the access you want to because it recognises where you are in the world geographically. With a VPN, you can effectively pretend to be somewhere else, which may make your purchase much easier. You won’t need to worry about changing your location or currency within the store. The VPN will ensure that you are browsing in the country you want to buy in. These are all great black Friday offers from some of the most respected VPN providers on the market. But, of course, you could get a VPN for even less. You could even get a VPN for free. But, just because you can, does that mean you should? The old adage goes that nothing comes for free. And, that is definitely true when it comes to free VPNs. Not only is the service itself generally second-rate, but free VPN providers need to make their money somehow, and they do this through using your data. They may sell on your details and browsing habits to advertisers. This means if you chose to get a free VPN because you value your privacy, you may actually end up with your data being a lot less private than you thought. If you’ve already been thinking about signing up to a VPN service, there are lots of reasons why you would want to. For example, if you are struggling to access the content you want to because of where you are in the world, or you can’t get around firewalls, or you want to make sure your browsing is private and all of your data is secure. 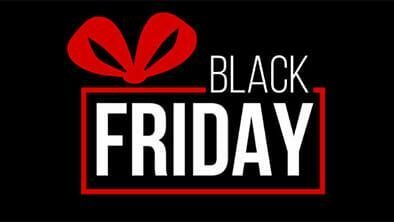 For these reasons as well as cost, you may wish to take advantage of the black Friday deals available right now and the special offers for Cyber Monday. That way, you can make sure that not only are you choosing a reputable VPN, but you are also choosing to buy a plan at a significant discount. It’s the perfect time to bag a VPN bargain. We recommend ExpressVPN as the top VPN available.